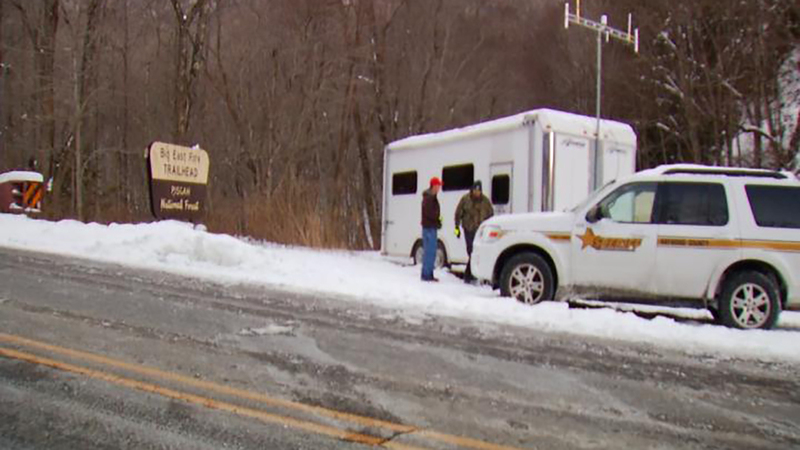 HAYWOOD COUNTY, North Carolina (WTVD) -- Officials announced Saturday night that two lost hikers in the Shining Rock Wilderness area in Haywood County were rescued. First responders began looking for them Friday after they called 911. The hikers called 911 again Saturday morning saying they were cold and out of food and water, but had managed to start a small fire and get shelter. A State Highway Patrol found them using thermal imaging just before 5 p.m. A National Guard Blackhawk helicopter picked them up. The hikers were taken to the hospital around 7 p.m. Their condition was not known. Officials said nearly 100 others helped in the search and rescue in addition to the helicopter crews.